You don't see red mangoes often in stores - but once you've tasted one, you'll never settle for anything less. Mangoes only turn red when they reach the peak of ripeness. That's when they are the most delicious, and nutritious. 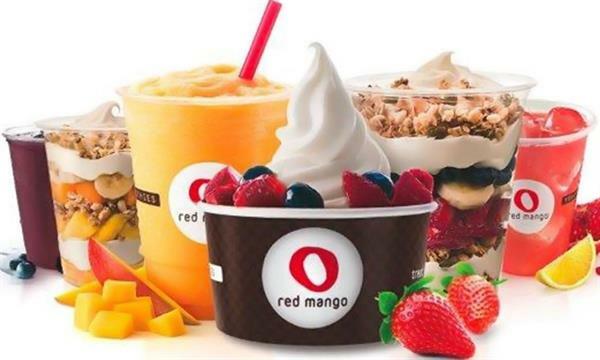 Our name, Red Mango, is a symbol of our commitment to using only the best all-natural ingredients for our frozen yogurt, smoothies, juice and parfaits. Once you cross the bridge turn left Padre blvd. drive one mile up we are located on the right hand side in the Daddy's building. Our sign is visible from the street and look for the flags.